Another absinthe in the "absinthe art" series from the Oliver Matter/Markus Lion cooperation. This one is based on a traditional recipe from the book of Brevans on the manufacture of liqueurs etc. It has a very vibrant clear green color - a color which on certain forums have been debated on whether it is natural or not. I can honestly guarantee that it is natural - there are no artificial colorants added at all. Now, to move on it has a wonderful nose with a nice complex and tempting aroma. The wine alcohol base is notable and also a good portion of wormwood, green anise and fennel. Slight hints of coriander and a faint minty touch is present also. The addition of water enhances the overall aroma and lets out more of the herbal complexity and also produces a really nice thick light green louche. The aroma carries on to make a fine full mouth-feel, slightly dry but creamy and certainly acceptable. 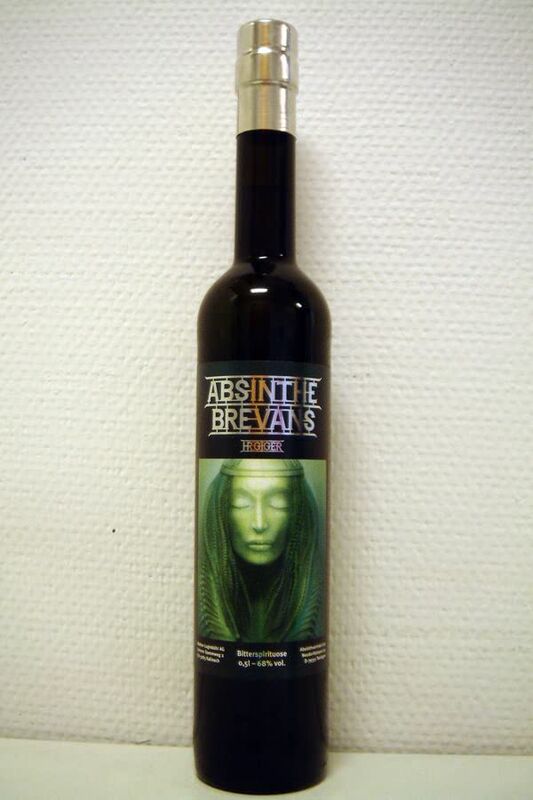 The taste is as expected very good and I think the Brevans H.R Giger is one of my personal favorite absinthes from the Matter-Luginbühl distillery.